Hassall Green is a 2 hectare site which the Land Trust opened in spring 2014. The vision is to allow it to continue to become a haven for wildlife, with its rich woodland surroundings and wildflower meadows it has the potential to attract key species to set up home in this space or use it as a resting point for onward travel. The site will be maintained as a peaceful area and is available, on request, for quiet recreational activities, such as ecological study – which might be of interest to schools, colleges and universities. For any groups, organisations or individuals who want to make use of this public space – or for anyone wishing to volunteer – simply contact our park ranger to arrange. In the 1950s the site was used for landfill and then as a tip for demolition waste in the 1970s, until closure in the late 1980s. In 2013 the landowners Hays Recruitment safely remediated the site and in 2014 it was subsequently given to the Land Trust as part of its growing portfolio of green open spaces to support wildlife and benefit local communities. Due to its historical use it is closely and regularly monitored for any potential environmental risks to ensure it’s safe for the local community and wildlife. Since the Land Trust has taken ownership, we now have a ranger onsite and with regular checks to ensure nothing arises, we are able to take action straight away. 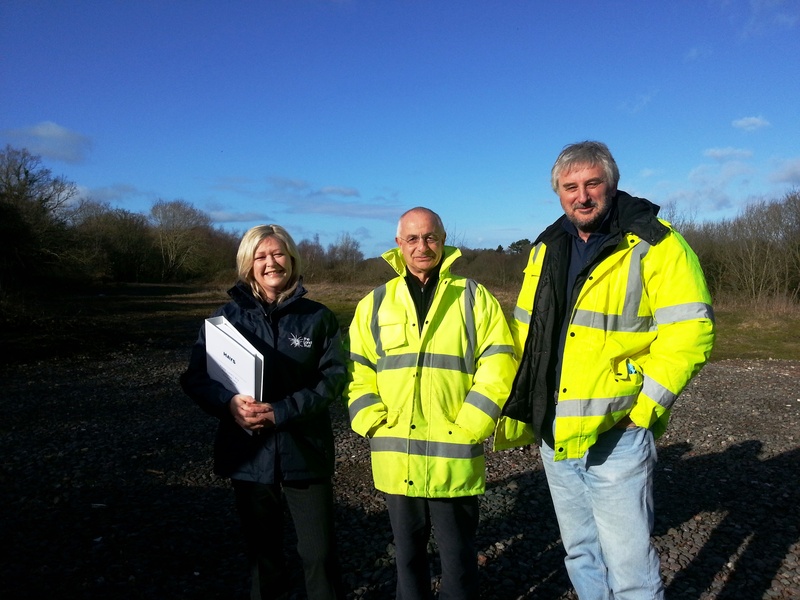 The Land Trust is encouraging local people to get involved and help manage the site. This includes recruiting volunteers to help improve the biodiversity, providing guided walks and activities and working with teachers and lecturers to incorporate the site in their educational programmes. Work being carried out by the Land Trust includes installing bird boxes; building and maintaining fences and gates; maintaining the wildflower meadows; ensuring route access is clear and undertaking ecological surveys to maximise biodiversity. These activities will help to encourage biodiversity and develop a strong ecosystem. Buzzards are regularly spotted in the area and as a bird of prey at the top of the food chain this is a great indicator that there is already a thriving ecosystem. With the help of volunteers and ecological studies, we can build on this to improve the area for the benefit of wildlife and the community. Groundwork West Midlands is managing the park on behalf of the Land Trust. Work it has been carrying out on the meadows is already bearing fruit, with 65 Common spotted orchids recently counted – a great sign for the future.